Faithless is published on the 15th April 2017 by Orenda Books. 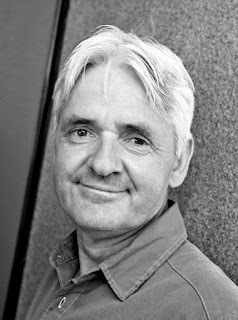 My thanks to the publisher for the review copy and to Anne Cater for inviting me to be a part of the blog tour. It is translated by Don Bartlett. When the body of a woman turns up in a dumpster, scalded and wrapped in plastic, Inspector Frank Frølich is shocked to discover that he knows her … and their recent meetings may hold the clue to her murder. As he begins to look deeper into the tragic events surrounding her death, Frølich’s colleague Gunnarstranda finds another body, and things take a more sinister turn. 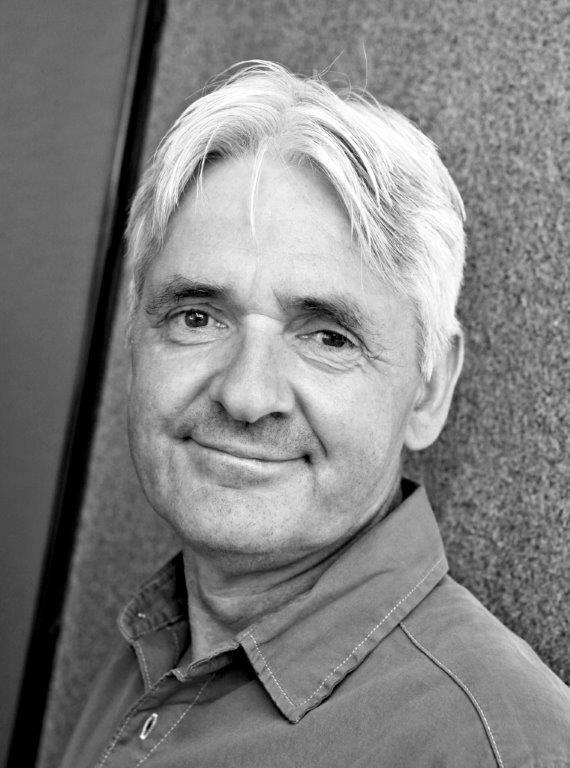 With a cold case involving the murder of a young girl in northern Norway casting a shadow, and an unsettling number of coincidences clouding the plot, Frølich is forced to look into his own past to find the answers – and the killer – before he strikes again. 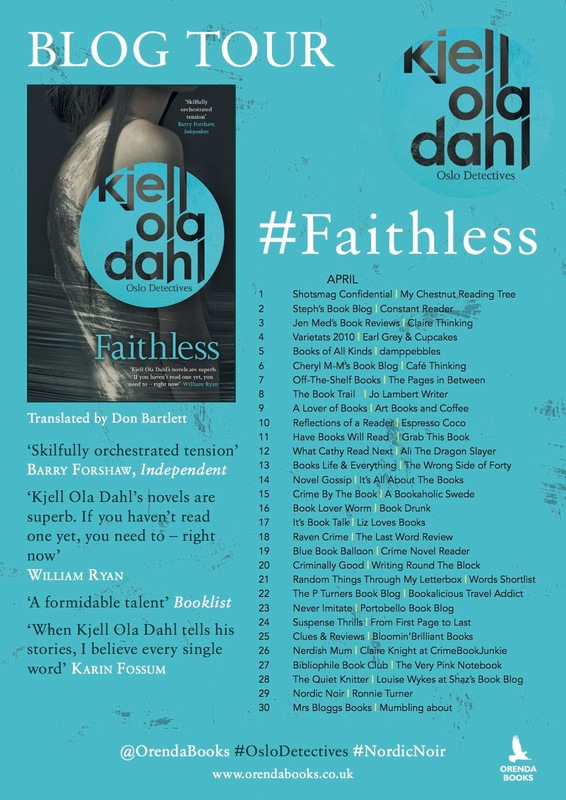 Dark, brooding and utterly chilling, Faithless is a breath-taking and atmospheric page-turner that marks the return of an internationally renowned and award-winning series, from one of the fathers of Nordic Noir. I jumped at the chance to review this book when asked as I really enjoy nordic noir, particularly on television but haven't really read that much fiction in this genre. I anticipated that I would find it quite hard to get to grips with but the translation by Don Bartlett was seamless and the story flowed effortlessly. This book is part of a series but it reads perfectly as a standalone although I for one will definitely be seeking out more from this author. Chock full of suspense, this book hooked me in from the first page. Short sharp sentences and brief narratives made this book punchy and kept me turning the pages. Frølich was something of an enigma for me but I found him all the more engaging because of this. Frølich is shocked to discover that a body of a woman is somebody he knows, and indeed somebody he had detained previously. She was also the partner of one of his oldest friends. Frølich seems to be embroiled in something and the past may or may not play a part. Alongside this a student goes missing and it isn't clear initially if the two cases are connected. There is plenty of suspense, mystery, lies and red herrings wrapped up in a relatively short novel. I loved the old fashioned police work and the setting for this novel and was completely and utterly wrapped in the moment. 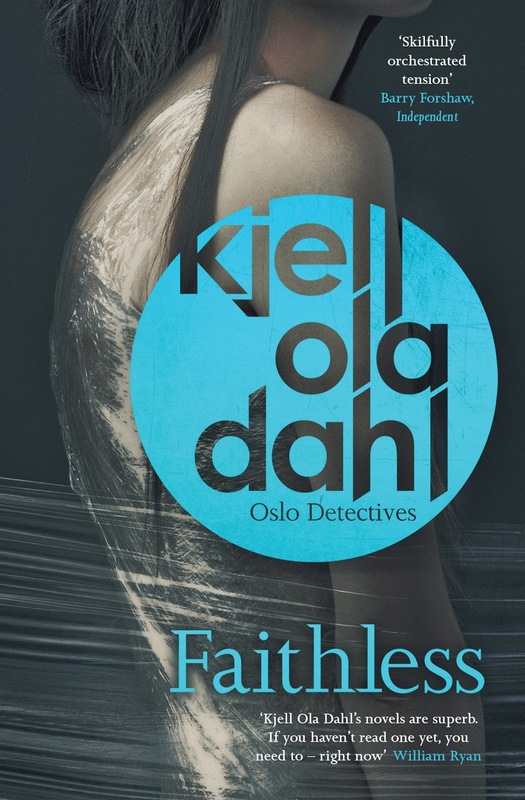 The norwegian setting worked really well for this story, and it would also work well as one of the television series of the genre I love so much. I will most definitely recommend it and look forward to reading more of this authors work in the future. I found is engaging, exciting and original. I have yet to read this book, it is in the poor heap on my nightstand, waiting to be read! I am glad you enjoyed it! Great review!